Adsense is definitely the best and most used Advertisement network from small bloggers to highly talented web masters. But getting approved on Google Adsense is an easy job. For adsense banned and not accepted bloggers and webmasters (say publisher) still have other Adsense alternative services. Bidvertiser is an alternative service for Google Adsense. 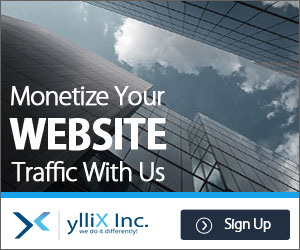 This service is ideal for earning decent from your sites. The minimum payout is $10 for paypal and $50 for bank check. Join Bidvertiser Now. It's Free!